An Educational Model for Preparation for Practice? Healthcare organisations are now seeking a multiskilled, responsive, adaptable workforce who are prepared to be lifelong learners, adapting and changing as required by the organisation. The scope of modern nursing is still evolving. 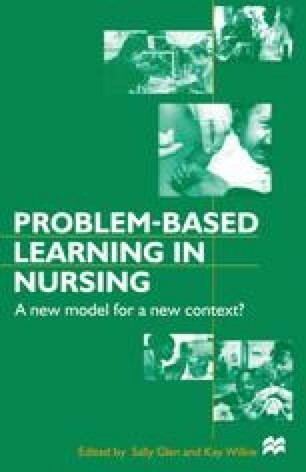 Just as nursing practice adapts to changes in healthcare provision, so too must nurse education if it is to remain ‘current’ (Boettcher, 1994). If nurses are to be prepared for a pivotal role in the care of people in the twenty-first century, nurse education has to develop innovative and creative initiatives to meet the needs of the citizens of the region served (Berkley, 1992). Nurse educationalists thus have a responsibility to encourage and develop nurses who can respond proactively to the rapidly changing healthcare environment and the requirements of demanding healthcare consumers (a key theme of this book).